46.02. 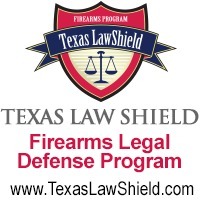 Such a person will be subject to criminal charges for illegally carrying a handgun, If a person in possession of a handgun has not produced a handgun license, but it is subsequently determined that the person was in fact licensed to carry a handgun, The Harris County District Attorney's Office will "Typically" not file criminal charges against a person under section 46.02 of the Texas Penal code. A peace officer who knows or reasonably suspects that a person is carrying a handgun, regardless of the manner in which the handgun is carried, may detain the person and, if it is shown the person is carrying a handgun, request that the person display the person ’s handgun license under this subchapter or other authorization to carry a handgun. A license holder is carrying a handgun on or about the license holder ’s person when a magistrate or a peace officer demands that the license holder display identification, the license holder shall display both the license holder ’s driver ’s license or identification certificate issued by the department and the license holder ’s handgun license if operating a motor vehicle or the License to Carry a handgun if outside of a vehicle. A peace officer may disarm any person carrying a handgun, regardless of the manner in which the handgun is carried, while the peace officer verifies that the person holds a handgun license under this chapter or is otherwise authorized to carry the handgun.